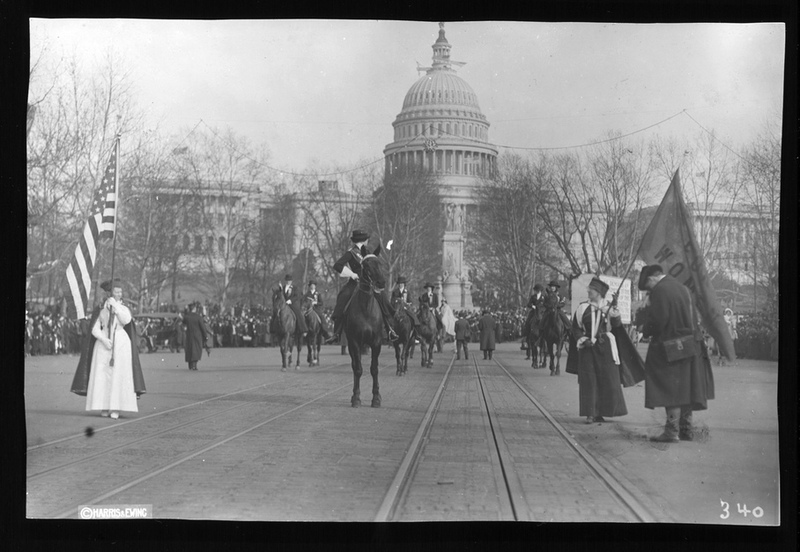 Jane Burleson, grand marshal of the 1913 Washington Suffrage Parade, halts at the beginning of the parade to see that the participants are following her. The Avenue, as it was sometimes referred to then, had not been cleared of spectators, as the Washington police had promised. That was apparent to anyone who was at the Peace Monument, particularly to anyone who was on a horse and could see up the Avenue. But the marchers and the crowd could not wait any longer. They had to start, despite the uncertainty of what lay ahead. The head of the parade had formed on the west side of the U.S. Capitol Building, and as it moved forward, it turned left onto Pennsylvania Avenue. 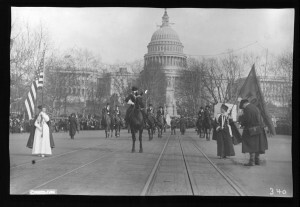 Jane Burleson, the grand marshal of the parade, and her attendants were first, followed by the herald, Inez Mulholland (the white figure at the base of the Peace Monument). A sign stating a demand for a federal suffrage amendment (behind the flag-bearer on the right) was mounted on a wagon behind Mulholland. Then came the light-colored mounted marshals. Burleson moved up the Avenue for a few yards and then stopped to see that everyone was moving behind her. A photographer on the right is taking a picture of this moment. Two more photographers stand between the streetcar tracks closer to Milholland. Note the policeman on the left side of the picture. 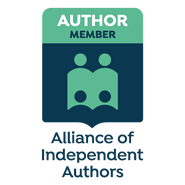 Find out more about the 1913 Washington Suffrage Parade and its importance to the suffrage movement and to American journalism.